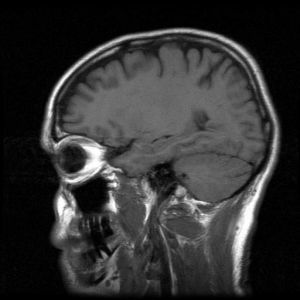 According to a university press release, a standard MRI scan can produce anatomical images that reveal the physical structure of the brain. New equipment involved in this project, and made possible in part by the $10 million in NIH grants, will allow the same technology to be used to measure patterns of neural activity in the brain. Michael Webster, professor of psychology at UNR, explained in a previous statement that: "fMRI can be used to measure which parts of the brain are activated when we look at a picture or try to remember an event," Webster said. "fMRI has revolutionized the field of neuroscience and has led to many new discoveries about how the brain works and how it is affected by injury or disease. However, until now, this technology has not been available in northern Nevada." This project and other studies using fMRI continue to lead to new discoveries about the nature and inner workings of the brain, and are vital to identifying and treating brain diseases. The new equipment, which was previously unavailable to area researchers, was purchased with the NIH grant funding that was awarded to Webster in 2012 to establish a Center of Biomedical Research and Excellence (COBRE) and to build neuroscience research on campus. The equipment was installed at Renown Regional Medical Center, where it has become integral to furthering the important research of Michael Webster, among others. In addition to recent NIH funding for breakthrough brain research, scientists at the University of Nevada, Reno make use of millions of dollars in annual funding in various fields of life science research. UNR received $10 million for neuroscience research into short-term memory loss. 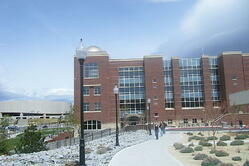 The University of Nevada, Reno is renowned for its research in the areas of genomics and proteomics, with core laboratory facilities in genomics and proteomics that support research on campus in the Schools of Medicine and the College of Agriculture, Biotechnology and Natural Resources, respectively. As Nevada’s leading research institution, the University of Nevada, Reno is home to the state’s most active and highly funded researchers, scientists and educators. Every year, UNR researchers spend tens of millions in funding on new lab equipment and consumables to further their studies, and they are constantly in search of new technology. 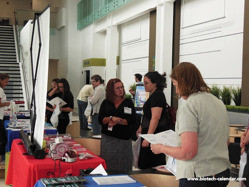 The 9th Annual BioResearch Product Faire™ Front Line Event at the University of Nevada, Reno is the premier opportunity for Nevada’s researchers and lab vendors to meet under one roof. This event attracts hundreds of annual attendees to network and discuss the latest in biotech, lab supplies and methods.